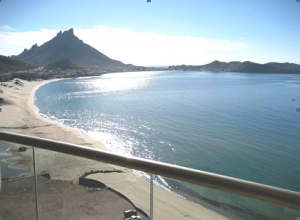 San Carlos, Sonora - Livin' Laid Back! There are plenty of beautiful beachfront resorts in Mexico… so why consider visiting us in San Carlos? Why is this destination different than the others that can be found along the beach throughout Mexico? Of course you’ll find that swimming in the clear blue waters and relaxing on beautiful sand beaches will allure you. If you are a golfer, there’s a very nice and affordable 18-hole public course in town where memberships are available but not required (and you can actually play without a collared shirt). If you are a sailor there’s not just one, but 2 full service marinas in the area with over 600 slips as well as ample dry storage. If you are a sport fisherman who charters a vessel from one of the many operators in town you’ll soon see why these waters in the Sea of Cortes are famous for abundant catches of marlin, sailfish, dorado, tuna, red snapper, yellow tail and grouper. If you are a pleasure boater you can watch dolphins dance with the whales, which can be found in our waters throughout most of the year. If you are a diver, the waters have visibility of up to 90’ during the summer months. If you are a kite-surfer you’ll catch some of the best wind around from November through March in some of the popular kite areas of San Carlos. If you are a snorkeler you can see tropical fish along the shoreline or go swimming with the seals at San Pedro Island which is located 15 miles offshore. If you are a kayaker you can navigate the myriad of caves and coves along the coast. If you are a hiker or a mountain biker the Sierra Madres Mountains which reach down and touch the sea will be your playground. But most of all what sets San Carlos apart from other beautiful locations in Mexico is the town itself. It really is the type of place that you’ll fall in love with on your first visit. I can’t tell you how many people I’ve met who have traveled extensively in Mexico, and then “happened” upon San Carlos and have ended up calling it their home. The best description of San Carlos I’ve ever heard was when a friend of mine who once described it as “Mayberry with an Ocean”. A small town with populated with only 8,000 people San Carlos certainly fits that depiction. San Carlos is… in fact…..as laid back and safe of a Mexican beach town destination that one can imagine. The only “attitudes “you’ll see in this town are positive and friendly. Pretentious is a word that doesn’t exist in the local vocabulary let alone in actions of the locals and their neighbors from north of the border that you’ll meet here. There is one main street (with no stoplights) which is dotted with bars, dive shops, grocery stores, curio stores and restaurants. There is a complimentary mix of Gringos and locals. The streets are clean and the town is well kept. 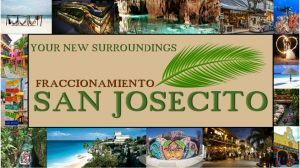 For a few there may not be enough “action” here….and you’ll never mistake the place for the hustle of Cabo or the bustle of Cancun…but then again, most people who visit here agree that San Carlos really is ….. Mexico as it should be! So you may be asking yourself, “If this place is so great, why haven’t I heard about it”? That is a fair enough question and the answer is fairly straight forward. San Carlos was never designated as a “tourist destination” by the Mexican Federal Agency named “FONATUR” (Fondo Nacional de Fomento al Turismo). 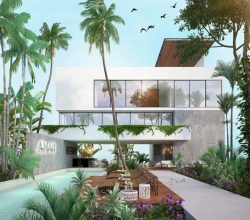 Fonatur was responsible for developing 5 of Mexico’s premiere resort destinations which include Cancun, Ixtapa, Los Cabos, Loreto, and Huatulco. 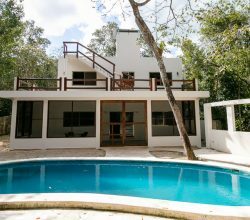 These five destinations offer in excess of than 245 hotels with over 35,000 rooms and account for over 50% of the tourist dollars brought into Mexico by foreigners. Obviously the bad news here is that San Carlos was never the recipient of the these Federal dollars that built airports, infra-structure, roads, hotels and pristine golf courses as in these well known destinations. The good news is that even with absence of Federal funding, San Carlos does have a very good infra-structure in terms of streets which include 4 lane boulevards, power grids, water and public services while maintaining a relaxing, small town atmosphere. The overall prices that you’ll find here from the price of groceries or the cost for drinks and dinner at one the local hangouts, to the cost of a beach front home or condominium are considerably less than in these FONATUR “tourist” locations where demand has driven up prices. The only possible exception to this would be the exorbitant prices of a taxi fare in San Carlos, which although would be interesting to comment on, would somewhat off topic. Accessibility is crucial for the success of any resort destination. Easy access is the major component that fuels popularity which ultimately, is the major factor that establishes values for any given area. The good news is that accessibility to San Carlos is surprisingly easy. You can either drive or fly to our area which is a major advantage that San Carlos has over other locations in Mexico. San Carlos is far enough south of the border so that you will experience the flavor of the “real” Mexico but is still only a five-hour drive from Tucson, AZ. There 4 lane highways are the entire way which are well maintained. With the increased security measures and long lines that people are experiencing at most airports, the idea of an easy “drive to – drive from” beach destination is gaining in popularity. Indeed it is one reason that many of our visitors come from the Western corridor states such as Arizona, New Mexico, Colorado, Utah, Northern California, Washington, Oregon. And let’s not forget our friends from Canada who typically come down in November to escape the Arctic blasts that they find at home that time of year. There is an ever growing population of Canadians that visit us mainly from the Edmonton and Calgary areas of Alberta. If you prefer to fly, it’s easy to get to Playa Blanca from any airport in the United States or Canada. There are direct daily flights from Phoenix Sky Harbor International Airport (PHX) direct to the Guaymas International Airport (GYM). There are also several daily flights to Hermosillo (HMO), the state capital of Sonora, which is just a one-hour drive from Guaymas-San Carlos. That is basically the same amount of time that it takes you to get from San Jose airport to Cabo San Lucas. All you need is your passport and your tourist visa and you can be on the beach in San Carlos in no time. The Beach “Location is everything” and Playa Blanca is located on arguably the nicest beach in Northwest Mexico. 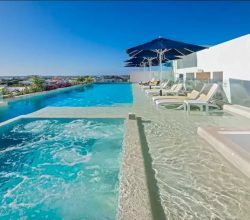 Often referred to as “Catch-22” beach, the sand beaches and swimmable waters make Playa Algodones the place where you’ll want to stay while you are in San Carlos. 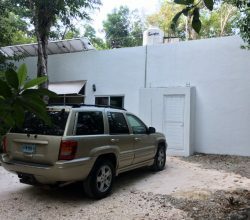 Although Playa Blanca is only a 5 minute drive to “downtown “ San Carlos, there are several bars and restaurants within easy walking distance close. The Soggy Peso, Bonafacios, Paradiso, Joey’s Bistro and the Pizzeria are all located just down the beach from our resort. Playa Blanca is the first true luxury Condo Resort in San Carlos to offer whole ownership opportunities for their well appointed residences. 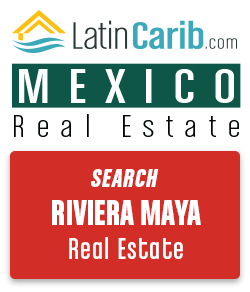 There are a total of 134 units at Playa Blanca, 74 of which have already been sold. The first units were delivered at the end of 2009 after a 2 year construction period. All of the 1, 2 and 3 bedroom units have sweeping views of the sea and come with spacious covered terraces. The sizes of the condos vary in range from 1,050 to 2,720 square feet. 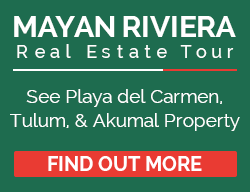 Owners at Playa Blanca may participate in an optional rental program which is coordinated by our on-site property management company, Seaside Reservations. Seaside offers a turnkey rental program to owners who have an interest in generating additional income by placing their units in our Condo-Hotel rental pool when they are not using them. This program was launched last spring and there are currently 30 owners participating. Feedback from the resort guests has been very positive and we continue to create and implement new programs and concepts to ensure that Playa Blanca will continue to offer a delightful vacation or business travel experience that can’t be matched by any other hotelier or resort in San Carlos. 9.5′ ceilings in great room* 8′ Alder doors* Marble flooring throughout* Granite slab kitchen countertops* *Kitchen and laundry appliances included* Tumbled marble slab vanity tops* Upgraded bathroom sinks, toilets and faucets* Water purification system in kitchen* Spa in each master bathroom*Alder cabinetry throughout* Spacious covered terraces w/glass and aluminum railings* Individual unit AC/heating systems * Sound attenuating construction materials* 3 High speed Otis elevators* PBX phone system in each unit * All units pre-wired for satellite TV and phone* Furniture packages available. The next time you are planning your vacation to Mexico we hope that you’ll decide to come visit San Carlos. Once you’ve been here, I’m sure you’ll agree that you’ll want to return…time and time again.